We Now Serve Homemade Ice Cream and Sorbet! 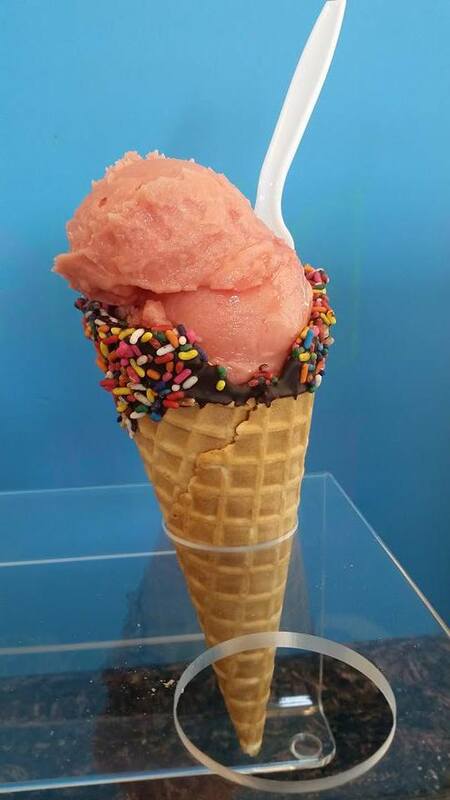 Today's flavors: vanilla bean ice cream and refreshing blood orange sorbet or chocolate sorbet. Served in a chocolate dipped cone or dish.